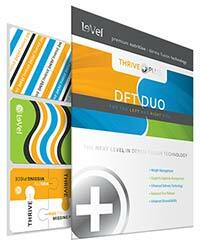 Thrive DFT Duo is a diet patch distributed by a network marketing company called Le-Vel. Companies that distribute their products in this way tend to be more focused on roping in network marketing partners than distributing their products. Le-Vel is unusual because the “Thrive business opportunity” appears to take a back seat. However, network marketing is a very controversial business model that is too complex to go into here and is not relevant to our Thrive DFT Duo review. Readers who wish to familiarize themselves with the concept can do so by following this link: Network Marketing. Thrive DFT Duo is very different from other diet patches because it comes in two parts—one for each side of the body. It’s a unique idea but the advantages are not explained. Customers are simply told this two-pronged approach provides a larger “fusion footprint”. How to Use – As already stated, the patches need to be applied to opposing sides of the body. The suggested application areas are the buttocks, the shoulders, the biceps, and the inner arms. Both patches need to be left in place for 24 hours, after which two new patches need to be affixed to fresh areas of skin. This kind of rotation presumably helps prevent skin irritations. Thrive Premium Lifestyle Capsules: Provides a combination of vitamins minerals and nutrients intended to prevent nutritional imbalances and enhance mental and physical function. This supplement comes in two types. The first is only intended for men. The second is a female-only formulation. Thrive Premium Lifestyle Mix: A shake mix that delivers additional nutrients to further improve the overall health. 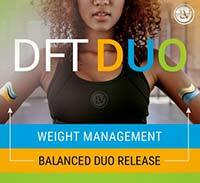 Customers are encouraged to use all three products in unison for two months as part of the “Thrive experience”, but Thrive DFT Duo appears to be intended to be the driving force when it comes to ridding the body of excess pounds. 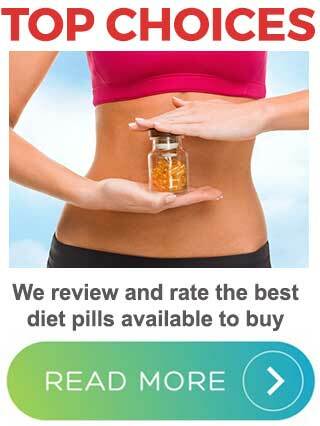 A lot of the ingredients used in Thrive DFT Duo are diet pill regulars and some of them are known to be very good. However, a few could be considered dead wood. This is a problem because no inclusion rates are provided and there is no way of knowing if the ingredient ratios are likely to be effective. Using white willow bark as an example. It has value as a painkiller, and it may even help clear up your acne, but is unlikely to contribute to weight loss. We are not seeing any powerful appetite suppressing ingredients included in the mix, but there is evidence to suggest aloe vera may help lower blood sugar levels. Chlorogenic acid is also known to offer this benefit, but it offers the most value as a thermogenic fat burner (presuming an adequate inclusion rate). The best natural fat burner in the formulation is undoubtedly green tea but—again—the question arises: do the patches contain enough? Guarana is a source of caffeine and, once in the system, caffeine can be good for providing extra energy and thermogenic fat burning benefits. Unfortunately, some people do not tolerate caffeine well, especially in high doses. Is this likely to be a high dose? There is no way to know. Although we found plenty of positive feedback for Thrive DFT Duo, most of the comments seemed to have been made by Le-Vel distributors. People selling products are unlikely to pass negative comments about their wares, so these comments cannot be relied upon for accuracy. We suggest not using this product without a prior consultation with a doctor. 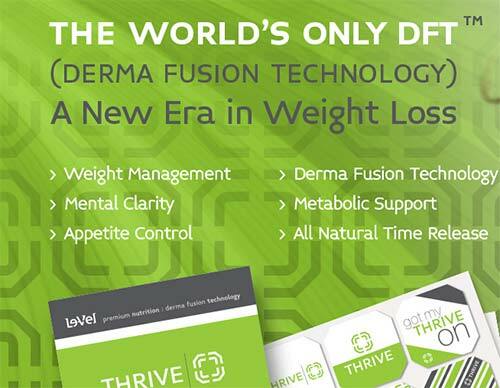 Like all Thrive products, DFT Duo is exclusive to the Le-Vel website, but site visitors are not allowed to purchase anything unless they’ve been referred by a Thrive distributor. Customers have 30 days to return unopened product and claim a 90% refund. 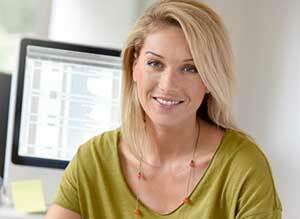 Customers who return products that have been opened and tried are only eligible for a 50% refund. One the one hand, the lack of information about the ingredient quantities used in Thrive DFT Duo makes it impossible to say it won’t work. But nor can we say that it will. We can say the guarantee is very poor and many people will not be able to buy the product anyway because the Le-Vel is set-up in a way that blocks access to visitors from many countries of the world and even interested parties who are visiting the site from addresses located in the USA will not be able to buy Thrive DFT Duo unless they have been referred by a distributor. When there are so many more easily obtainable options available, it’s hard to see why this one would be worth the effort.